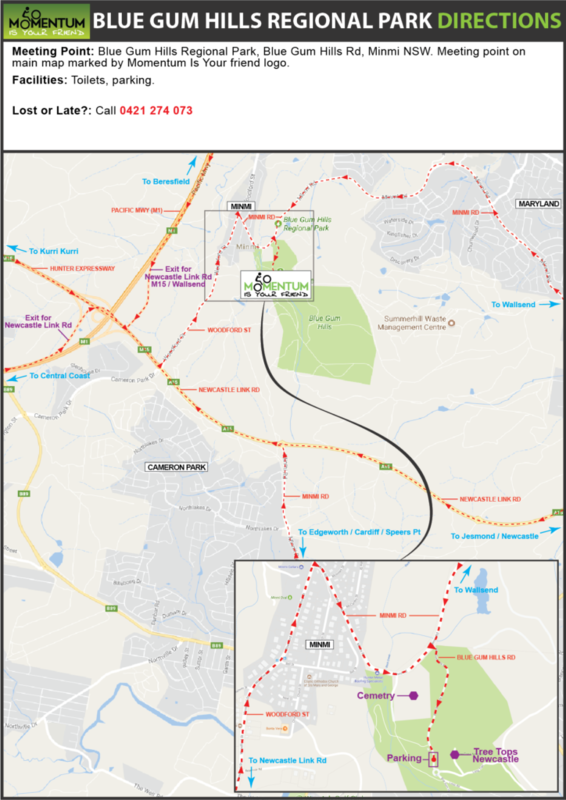 Downloadable maps and information for our Blue Gum Hills Regional Park location. The Blue Gum Hills Regional Park is primarily a public recreation area with open field/parkland and forest. A few management trails exist suitable to our purposes of introducing new riders to mountain biking with minimum risk. Blue Gum Hills Regional Park, 500m up Blue Gum Hills Rd (Dirt) off Minmi Rd, Minmi NSW. Meeting point on map marked by Momentum Is Your friend logo. How Do I Train For The Port to Port?